What is happiness? What is gratitude? We each have our own definitions of these, and for the most part, they will probably sound pretty similar. But if we were to take a deeper dive into the two, we would we find out more about ourselves, for instance, our behavioral tendencies and emotional well-being, than just what is a standard definition of each. The English language has about 550 to 600 words for different emotional experiences, 2 of these “emotional experiences” are gratitude and happiness (Averill, 1997). Gratitude and happiness are two topics that have been long researched but only recently became hot topics. As more and more people are becoming aware of the benefits of applying Positive Psychology evidence-based theory, science, and methods to their daily life, gratitude and happiness are rising to the top of the ‘priority self’-checklist. If we take a deeper look at gratitude, we find that ‘gratia’, is the Latin origin for ‘gratitude’ and means grace, graciousness, or gratefulness. Gratitude is an appreciation from receipt of something tangible or intangible from an individual (Giving thanks makes you happier). As stated before, happiness has many definitions, but let’s look at the one from Positive Psychology, it’s defined as experiencing frequent positive emotions, like joy, pride, and interest with less negative emotions like anger, sadness, and anxiety (Lyubomirsky, 2008). Furthermore, happiness is related to life satisfaction, moments of pleasure, and appreciation of life (Khoda, 2016). Gratitude and happiness are more than just a state of mind or a gesture. There are some serious science-based theories behind each of these emotional states of being. Is There a Link Between Happiness and Gratitude? How does Gratitude Bring Happiness? Researchers in Positive Psychology have found that gratitude and happiness are always strongly correlated. A possible theory is that gratitude moves people to experience more positive emotions, to thoroughly enjoy the good experiences, better their health, face adversity, and develop and maintain relationships of strength, which in turn makes you happier. By being grateful for what’s to come (i.e., hopeful and optimistic of the future) (Giving thanks makes you happier). George Keith Chesterton, (often known as G.K. Chesterton) is a prolific English writer, poet, philosopher, etc. who coined the quote “I would maintain that thanks are the highest form of thought, and that gratitude is happiness doubled by wonder” (Sacasas, 2010). Chesterton takes the attitude that giving thanks or showing gratitude for whatever you are doing is critical in order to be happy. In addition, appreciate anything and everything you have, or don’t have anything at all. In short – take nothing for granted (Taylor, 2014). Does the happier you are, correlate to the longer you live? Yoichi Chida and Andrew Steptoe (2008) attempted to answer this question. Chida and Steptoe (2008) conducted a meta-analysis on 35 longitudinal studies; the researchers found that happiness positively effects longevity. These positive effects included: a more positive psychological well being and a lower mortality rate for everyone whether they were healthy or sick (Carr, 2011). Healthy population studies have found that when participants exhibited a positive affect, like joy, happiness, energy and vigor, life satisfaction, optimism, and a sense of humor – there was a lower mortality rate (Carr, 2011). Adding to the evidence that happiness correlates with a longer life are researchers Danner, D.D., Snowdon, D.A., & Friesen, W.V. (2001). They completed a large follow-back study with 180 nuns in the US. All of the nuns had a similar lifestyle, diet, and schedule. Danner et al. (2001) instructed the nun participants to write essays as they entered into their religious order. The nuns wrote about themselves and their life from childhood to present day, and their hopes and dreams for their lives. The nuns were unaware that their essays would be analyzed for a happiness and longevity study. The researchers found that, about 50 some years later, 90% of the happiest nuns lived past 85 (years old), and only 34% who scored as the least happy lived past 85 (Carr, 2011). We can see that happiness can increase our longevity. However what are the factors that determine happiness? Sonya Lyumbomirsky (2007), a psychology researcher, theorized that there are three causes of happiness. Genetic happiness set-point: is responsible for 50% of our happiness, determined by our personalities. Intentional activity: accounts for about 40% of our happiness, meaning the activities that we intentionally set out to do throughout our lives, that can better our well-being or increase our happiness. Environmental circumstances: account for 10% of the reason we are happy, usually it depends on the circumstances that which we are surrounded with and how this encourages or inhibits skills and opportunities for us to achieve happiness (Lyumbomirsky, 2007). While there are different causes of happiness, one way for sure to bring about more happiness is gratitude. Leaders in Positive Psychology, researchers Dr. Robert A. Emmons and Dr. Michael E. McCullough, studied gratitude and directed participants to write a few sentences weekly on certain topics. The topics ranged from what they were grateful for to what irritants they had encountered that week. At 10 weeks, the researchers found that the participants who wrote about gratitude were more hopeful about the future and had less medical appointments, and exercised more (Giving thanks can make you happier). There are many researchers looking at how to measure and predict positive emotions in order to share with the world the key factors responsible or what are the best tools and skills to practice to be happier. Gratitude Predicts Hope and Happiness: A Two-Study Assessment of Traits and States (vanOyen Witvliet, 2018). vanOyen Witvilet and her team of researchers studied and assessed how gratitude could possibly predict hope and happiness, respectively. The researchers assessed gratitude writing in the intervention group. Their theory of gratitude was inspired by, Roberts (2004), in that they found that “gratitude is about givers, gifts, recipients, and the attitudes of giver and recipients toward one another.” Gratitude compared to joy and hope is a much deeper social emotion, whereas joy is a result of a behavior or action, and hope is a thought of a future action or good (p. 65). Counting Blessings Versus Burdens: An Experimental Investigation of Gratitude and Subjective Well-Being in Daily Life, by Robert A. Emmons and Michael E. McCullough. Researchers Emmons and McCullough assessed the effect of having a grateful outlook on a person’s psychological and physical wellbeing. A total of 3 studies were conducted, studies 1 and 2, participants were randomized into 1 of 3 groups: 1. Hassles, 2. Gratitude listing, 3. Either neutral life events or social comparison. For the first two studies, the participants were also asked to keep a record of their moods, coping behaviors, health behaviors, physical symptoms, and overall life appraisals. For the third study, prior to enrollment, these participants had been diagnosed with a neuromuscular disease, and were randomly assigned to either the gratitude intervention or the control group. Although the researchers were looking to see benefits in both the positive affect and somatic realm, only in the social-emotional aspect did the participants show a higher positive affect (Emmons and McCullough, 2003). A study conducted at Loyola University Chicago, by Fred Bryant and Joseph Veroff (2007); found that a “savoring walk” each day can help with happiness. How exactly? The participants took a “savoring walk” daily for a week, and reported back that there was an increase in their overall happiness. Their explanation surmises that if you take the time to notice the good things in life you will feel happier. Deeper conversations provide for a happier life. Psychological researchers Matthias R. Mehl, Shannon E. Holleran, C. Shelby Clark, and Simine Vazire looked at the difference in happiness for people who were less social and had more superficial conversations versus people that were more social and had deeper conversations. Their findings showed that those that had more deep conversations and socialized more frequently with others were happier (Association of Psychological Science, 2010). There is a direct link between happiness and gratitude. Expressing gratitude brings about happiness for the one giving thanks. The more someone is thankful or feels gratitude, the less there is time or room for negative thoughts. First, she directs the reader that being grateful offers us a moment to savor the joy we are currently experiencing, which in turn lessens the dreariness of any negative going on at the time. 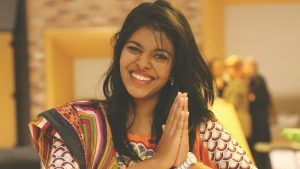 Then her second point, which is pretty interesting and rings true so effectively, is that the more you practice and express gratitude the more self-worth and self-esteem you feel, whether it’s thinking about what others do for you, or what you have done (for yourself or others) it adds to your confidence and how effective you are at this thing called life. For people that have experienced some of the most traumatizing experiences or situations, they have found positive effects from those experiences or from life itself to be thankful for. These positive effects include adjusting, processing, and moving on from the trauma. Gratitude can also help with building empathy for others, and social bonds whether pre-existing or new. Gratitude helps us to be less negative overall. Gratitude is a wonderful practice to learn and practice over and over-everyday. Gratitude is the most giving state of mind that we can train our thinking to stay in. When we give or receive gratitude we are happier for it. Whatever the X is — doesn’t really matter… It’s really about that acknowledgment and the .5 seconds to 30 minutes it takes to feel grateful to someone or to something non-living – that brings us back from all of our negative thoughts, grievances, and frustrations etc. Tennen and Afflek (2002) found that when people are faced with adversity or traumas, if they are able to experience gratitude, they are able to push through the adversity or trauma and be more resilient. Furthermore, researchers Witvliet, Knoll, Hinman, & DeYoung (2010) found that after an interpersonal offense, if a victim can concentrate or bring to attention the lesson(s) learned, how they were resilient, or how they grew, it provides greater joy, positivity, and overall better cardiovascular health for that temporary moment. When people are focused on the good and prioritize any of the benefits, they are practicing benefit-focused reappraisal, most similar to the phrase of “finding the silver-lining” (Baker, Williams, Witvliet, & Hill, 2016). Feeling gratitude or receiving gratitude makes both parties happier or see things from a more positive perspective. How could it not, right? You are literally thanking someone or something for something that is positive. Positivity rubs off, and when you feel more positive you feel happier. With positive situations and positive thoughts, it’s hard to think of negative situations or negative thoughts. But why is that? Answer: because they are still there even when we feel overly grateful for all of the good. However, we are able to accept the negative thoughts or situations that we have or are in. When we accept whatever our circumstances are, we waste much less energy on negative emotion such as rejecting or denying the negative. Instead, we are able to accept everything about our circumstance – taking in both the good and the bad. Csikszentmihalyi proposes a theory about “flow” by first telling the audience about people that he knew as a child, that lived through WWII. He centers his talk about “What makes a life worth living?” and proposes that it isn’t about money and things but more so who can find a state of “flow” (Csikszentmihalyi, 2008). Norton introduces a novel idea about how money can bring you happiness, but it does not include spending the money on yourself. Norton and his colleague did a social experiment, in where they gave people money to spend either on themselves or others. They asked the participants to rate their happiness before and after the social experiment (Norton, 2012). Gladwell, author of “Blink” and “Tipping Point” presents a much lighter take and taste on happiness by giving examples from the food industry’s evolution of appealing to different tastes with the same product. He talks about how there is no average or most common type of happiness or taste in food for everyone, everyone is different and the best way to make everyone happy and buy into a food is to give them their special variety of happiness (Gladwell, 2006). Schwartzberg, a cinematographer, discusses the work he does with time-lapse photography and how it can be a form of meditation. Schwartzberg states, “Nature’s beauty is a gift that cultivates appreciation and gratitude.“ He talks about how there is a connection amongst us all, and a universal rhythm (Schwartzberg, 2011). Anchor, a psychologist researcher looks at what makes people happy and how to create lasting positive change by researching the topic extensively. He and colleagues find 4 behaviors that create lasting positive change. Dan Gilbert: The surprising science of happiness. Benjamin Wallace: The price of happiness. Benjamin Wallace talks about how people can be swept up with how much something costs and how it could possibly be better than the less costly alternatives (Wallace, 2008). Short and to the point. Tice reminds the audience to ask for what you need even if it’s praise because you aren’t the only one benefiting. Both the one being praised and the person praising benefit from this exchange of gratitude (Tice, 2008). 1. Gratitude and Happiness: Development of a measure of gratitude, relationships with subjective well-being, by Watkins, P.C., Woodward, K., Stone, T., Kolts, R.L. (2003). Valid measure of trait gratitude, and to evaluate the relationship of gratitude to subjective well-being (SWB). Four studies were conducted evaluating the reliability and validity of the Gratitude Resentment and Appreciation Test (GRAT), a measure of dispositional gratitude. It was shown that grateful thinking improved mood, and results also supported the predictive validity of the GRAT. 2. Does gratitude writing improve the mental health of psychotherapy clients? Wong, Y.J., Owen, J., Gabana, N.T., Brown, J.W., McInnis, S., Toth, P., & Gilman, L. (2016). Psychotherapy, expressive writing and psychotherapy, and gratitude writing and psychotherapy are compared and studied with 293 adults seeking psychotherapy. Let’s cut to the chase, happier people live longer. This article is a great read for those that want to get into the relationships of happiness and marriage, age, socioeconomic status, etc. (Lawrence, E.M., Rogers, R.G., & Wadsworth, T., 2015). I hope that after reading this piece you see that there is so much to be grateful for in your own life. Even in those moments that seem so big and everything is crashing around you, there are still those around you that are there in support of you that you can be thankful for. Furthermore, I hope that after reading the research findings on happiness and gratitude you are moved to practice gratitude in order to multiply your happiness as only good can come from this. Association for Psychological Science. (2010, March 5). Well-being is related to having less small talk and more substantive conversations. ScienceDaily. Retrieved January 16, 2019 from https://www.sciencedaily.com/releases/2010/03/100304165902.htm. Averill, J. (1997) The emotions: An integrative approach. In R. Hogan, J. Johnson, & S. Briggs (Eds. ), Handbook of personality psychology (pp. 513-541). New York: Academic Press. Berry, J. W., Worthington, E. L., Jr., O'Connor, L. E., Parrott, L., III, & Wade, N. G. (2005). Forgivingness, vengeful rumination, and affective traits. Journal of Personality, 73(1), 183-225. Bryant, F. and Veroff, J. (2007). Savoring: A new model of positive experience. Mahwah, New Jersey: Lawrence Erlbaum Associates, Inc.
Carr, A. (2011) Positive Psychology. The Science of Happiness and Human Strengths. 2nd Ed. Routledge Taylor & Francis Group. Emmons, R.A. and McCullough, M.E., (2003). Counting blessings versus burdens: An experimental investigation of gratitude and subjective well-being in daily life. Journal of Personality and Social Psychology. 84, (2) 337-389. https://greatergood.berkeley.edu/images/application_uploads/Emmons-CountingBlessings.pdf doi: 10.1037/0022-3514.84.2.377. Lawrence, E.M., Rogers, R.G., & Wadsworth, T. (2015) Happiness and Longevity in the United States. Social Science Medicine Journal. November; 145: 115-119. https://www.ncbi.nlm.nih.gov/pmc/articles/PMC4724393/pdf/nihms749454.pdf doi: 10.1016/j.socscimed.2015.09.020. Lyumbomirsky, S. (2007) The How of Happiness. New York: Penguin. Tennen, H., & Affleck, G. (2002). Benefit-finding and benefit-reminding. In C. Snyder & S. Lopez (Eds. ), Handbook of positive psychology (pp. 584–597). Oxford University Press: New York. Witvliet, C. V. O., Knoll, R. W., Hinman, N. G., & DeYoung, P. A. (2010). Compassion-focused reappraisal, benefit-focused reappraisal, and rumination after an interpersonal offense: Emotion- regulation implications for subjective emotion, linguistic responses, and physiology. The Journal of Positive Psychology, 5(3), 226-242. Witvliet, Charlotte & Richie, Fallon & Root Luna, Lindsey & Van Tongeren, Daryl. (2018). Gratitude Predicts Hope and Happiness: A Two-Study Assessment of Traits and States. 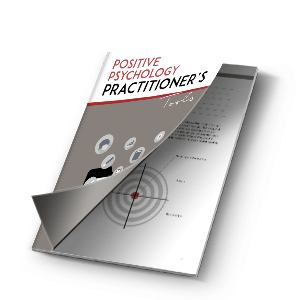 The Journal of Positive Psychology. 10.1080/17439760.2018.1424924.